Cool. Yeah, I'm hoping to buy some Who books soon but only if I can afford it. Make sure you post some reviews. Doctor Who and its two lead stars were winners in the TVQuick and TVChoice magazine awards on September 8th. The ceremony at The Dorchester hotel in London saw David Tennant take the Best Actor honour for the second year running for his portrayal of the Doctor, while Catherine Tate was named Best Actress for her role as Donna Noble. The show itself took the Best-Loved Drama title for the third year. Bernard Cribbins, who played Donna's grandfather Wilf Mott, was presented with Tennant's award. Phil Collinson said afterwards: "The biggest thrill of the night . . . was hearing the huge cheering and applause Bernard Cribbins received when he took to the stage to collect David's award. It was a special moment and something I'll always remember." Doctor Who - The Movie? Various sources in the British media yesterday reported fresh speculation about a potential Doctor Who feature film. A report in The Sun newspaper has suggested that series star David Tennant is negotiating with the BBC about starring in series five of Doctor Who in 2010, with the proviso that a feature film version of the series comes as part of the deal. The Sun's report quotes a "show source" as saying: "For ages, BBC Worldwide held the rights and were planning to make a movie, but it got held up and former BBC1 boss Lorraine Heggessey decided to bring back the TV series in 2005. But everyone is keen now and the fans are clamouring. Part of David�s conundrum is that he wants to do films, so this looks like it would solve both issues." The story has also been picked up by The Daily Telegraph, Metro, What's On TV and TeleText, amongst many others. PM me if you would like to read the story featured in The Sun. The Sun is reporting inside information on some major cast news for the 2009 Specials starring David Tennant. Details are found below. Remember, consider all information as strictly rumour until confirmed publicly by the BBC. The Sun is reporting that casting for the 2009 Specials includes Catherine Tate, John Simm and Bernard Cribbins. The 40-year-old comedy queen, who played the Time Lord�s dippy sidekick Donna Noble, will reappear in one of four Who specials planned for next year. And fans will be delighted � and a bit scared � to learn Life On Mars star John Simm, 38, is also back. He will reprise his sinister role as The Master � the Doctor�s sadistic rival Time Lord who was last seen dying in his arch-enemy�s arms. Bernard Cribbins, 79, who played Catherine�s on-screen grandad Wilf will be back as well. A show source said: �Fans will be delighted to see Catherine back. She was one of the wackiest companions of all time and she brought heaps of humour. I used to watch the old Doctor Who reruns on PBS back in college. The special effects were really cheesy, but the stories were generally good. Plus Red Dwarf usually followed. I know I've seen all of the episodes from Tom Baker through Sylvester McCoy. I've seen a handful of Jon Pertwee episodes, and only two or three of the first two Doctors. My favorite episode (and do forgive me for not remembering the title) was the Tom Baker episode on Gallifrey where the president was assassinated. It was a Master episode, if I remember correctly. The Trial of the Timelord and Key to Time series were also very good. I haven't been able to catch many of the recent episodes. I'll watch them on Sc-Fi when I can, but my wife dislikes the show, so opportunities are limited. I certainly like what I've seen so far. A quick question: before the recent series started, the FOX broadcasting network in the US produced a two-hour Dr Who movie, trying to launch the show as an American series. Sylvester McCoy actually had a cameo, and they showed him regenerate into a new Doctor (eighth?). Was this movie incorporated into the canon timeline for the Dr Who series, or was it simply ignored since it was an American invention? Sorry if this question was answered before. I haven't read all of this thread yet. Most, but not all. My addiction to Legos is interfering with my addiction to RPGs! I don't think anyone's asked the question before, so don't worry. When Fox made Doctor Who (the 1996 television movie), it was a part of the whole Doctor Who story - thus keeping the canonicity with the past series made by the BBC. We see the Seventh Doctor die and then regenerate into the Eighth. Even though it was Paul McGann's only television appearance as the Doctor, he went on to do many audio dramas. The film didn't do well on American television* and nobody wanted to buy the rights so they could make an American series. As a result, Doctor Who remained British (with exception of the film) and in 2005 it was relaunched on the BBC. *However, it was a ratings winner in the United Kingdom. 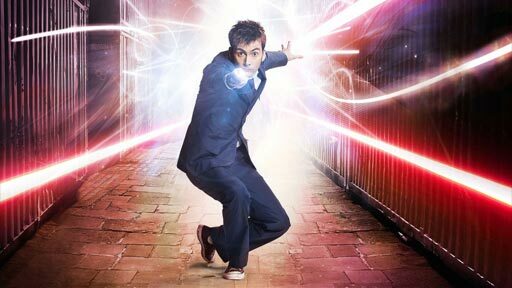 If the film had done well, then it was intended as a back door pilot for a new American-produced Doctor Who TV series. After that, who knows where Doctor Who would be today? Maybe in a mess? American producers would've had to have spent alot of time checking continuity with past series and they would have without a doubt needed the help of those who worked on Doctor Who in the past at the BBC. You pretty much had the answer all along. The title of it was The Deadly Assassin. I've never seen the episode myself. Which means most of that lengthy post is bull excrement. This morning, I can reveal to you that the BBC has quashed the story of the McGann casting. A spokeswoman is quoted as saying: "There is no truth to the story at all." Other than that, everything else has passed by alright. The BBC haven't denied the return of The Master, Donna and Wilf. I love Doctor Who, and can't wait for more new episodes. But seriously, where in the TARDIS is the bathroom located? I mean, the Doctor can't always be stopping at some Rest Stop or Hotel for a shower or for relieving himself. "Remind me again...How'd I get suckered into this?" But seriously, where in the TARDIS is the bathroom located? The Doctor has a transmat sewn into his briefs. So all his crap ends up in a galaxy far, far away. Doctor Who Magazine reached it's 400th issue yesterday in style, with eight extra pages and an exclusive photoshoot with David Tennant. "I bought the first issue, in 1979," he tells DWM. "I just thought, at last! Why's this not happened before now? I was delighted." Asked if he thinks the magazine could run for another 400 editions, Tennant replies: "You know, I'm tempted to say, 'If the television series continues,' but Doctor Who Magazine thrived when the series was nowhere to be seen, to be fair, so I can see no reason why it won't run and run. But hopefully the series will be there with the magazine, side by side, all the way. That's how it should be. Yeah, with me on the cover! Forever . . . "
1. Executive producer Russell T Davies looks back over the past five years, in his most candid DWM interview ever. 2. An exclusive competition where the prize is the chance to become a DWM reporter and go on the set of the TV series. 3. Discover what dangers lie ahead for the Bannerman Road gang as DWM talks to writer Phil Ford and previews the new series of The Sarah Jane Adventures. 4. Former editor Gary Gillatt takes an affectionate look at just what makes Doctor Who the best TV show ever. 5. The Watcher casts a nostalgic eye over the past 400 issues as he charts the surprising, amusing and often bizarre history of Doctor Who Magazine. 6. The Sixth Doctor, Colin Baker, joins The Time Team to watch the end of the epic 1986 adventure The Trial of a Time Lord. 7. It's the start of a new era for the comic strip as the Doctor discovers a familiar face aboard a prison in space - Part One of Think Twice is by Dan McDaid, with art by Martin Geraghty. 8. A free, double-sided poster featuring an exclusive image of David Tennant on one side and every single cover of DWM on the other. Too bad Americans arent able to get the magazine. That is something I could really get into. I'm sure there's one in there soewhere. It is dimensionally transcendental, after all. If he can fit the cloister bell and a swimming pool (srsly) into the TARDIS, I'm sure there's space for a bathroom. And I can never find DWM anyway, so I'm missing as much as you are, RF. The specially commissioned episode of Torchwood that was broadcast on BBC Radio 4 last Wednesday as part of Big Bang Day is now available to buy. Lost Souls is available on CD and in download format. The CD, which is 75 minutes long, will feature a bonus programme called Torchwood: All Access. Giving a behind-the-scenes look at the making of the TV show, it was first broadcast on BBC Radio Wales and has interviews with Russell T Davies and members of the TV series cast and crew. The download version will not have any extra material. Series Four Soundtrack On Its Way!!! Everyone thought it wouldn't come until next year in a double pack with the music from the 2009 Specials but they were wrong!!! Silva Screen Records is to release music from Series Four of Doctor Who in mid-November. A news item on its website says the tracks, composed by Murray Gold, will include Song Of Freedom - the choral piece that marked the Daleks' defeat in Journey's End. The Doctor's Theme is another of the tracks, but no other titles are known yet. The exact date of the CD's release has still to be announced. The original soundtrack album to Torchwood is now available to download from the Silva Screen Records website. It features Series One and Two music composed by Ben Foster and Murray Gold and is performed by the BBC National Orchestra of Wales and a studio orchestra. The 32 tracks can be downloaded individually or as a full album. The CD will be released tomorrow (September 22nd 2008). Meh, the only music worth getting from Torchwood is the main theme (available as a track on the Everyone Says Hello audiobook), and we've already had Westminster Bridge, The Doctor Forever and All the Strange, Strange Creatures on CD. What more can Mr. Gold throw at us (besides a bit of Oodsong)? Cover looks good, though, and I'll probably cave and buy it just because it's from the Donna series! I'm in Canada and get DWM pretty much every month. I've just asked my local comic shop to order it for me. There is basically just one distributor, Diamond and they handle everything, so if you go to your local store and tell them you want DWM every month, they'll order it for you. Okay, occasionally Diamond goofs and I miss an issue, but it's way better than nothing. Do you think I could do the same thing with Brickmaster? So thats where Jar Jar and Ziro came from! I now have a sonic screwdriver. Hell yes. The BBC Press Office has revealed that the title of the 2008 Christmas special is The Next Doctor. This special will see the return of the Cybermen (of the design of the parallel universe's Cybus Industries Cybermen), following their previous appearance in the two-part finale of series two in 2006, Army of Ghosts/Doomsday. It will feature a new variant of Cyberman called a Cybershade. An extended trailer (which premi�red at Comic-Con International: San Diego 2008) revealed that The Next Doctor is set in Victorian England on Christmas Eve 1851. Do you remember me talking about this? Well, guess which cover won? The Daleks! A "breathing" Vader cover just wasn't enough to win it. Wow. Who would have thought it? Daleks being more popular than Darth Vader? Awesome. It was to be expected though - what with Daleks being British an' all. The front cover of the BBC's Radio Times listings magazine from the week of April 30th-May 6th 2005 has been voted the greatest British magazine cover of all time, in a poll organised by the Periodical Publishers Association. The cover featured a new series Dalek crossing Westminster Bridge in front of the Houses of Parliament, accompanied by the strapline "Vote Dalek!" This combined coverage of the transmission of the first new Dalek television story in over sixteen years with the British General Election, which took place in the same week. According to The Guardian, the cover received over a quarter of the 10,000 votes cast in the public vote, beating off competition from issues of Vogue, The Face and OK! Radio Times editor Gill Hudson is quoted by The Daily Telegraph as saying that "It was a very complex cover to put together; simply getting Daleks onto Westminster Bridge at night was very challenging." I got a question for you Master about Forrest of the Dead. And we don't here the end, is it when he dies, or through love? What do you think? That's a tricky one. It's even more enigmatic because we get so close to finding out who River Song is and there are hints throughout the story, yet we never learn the truth. In the end, we're left wondering. Fans consider the Doctor's death and him falling in love as the only two events worth considering (where he reveals his name). The majority (including myself) believe that he reveals his name when he has found the person he wants to spend the rest of his life with - his one true love. 1. Professor River Song was created by Steven Moffat, the writer of the episodes, who says that the character is destined to "play a major role in the Doctor's future." 2. Show producer Russell T. Davies describes her as "one of the most important characters we've ever seen in the series." 3. Davies believes Moffat conceived this character as the Doctor's wife. According to news reports this morning from Derek Hambly at Tenth Planet Events, Ian Collier has passed away. Collier was well known to fans as Omega, the renegade Time Lord villain from Arc of Infinity, a role he later reprised in a special audio appearance for Big Finish Productions, the aptly titled Omega. Collier also played Stuart Hyde in The Time Monster during the Jon Pertwee era, and also appeared in two additional Big Finish audios: as Bernice Summerfield's father Isaac in Death and the Daleks and then as Commisar Erco Sallis in Excelis Decays at the behest of the story's writer, the late Craig Hinton. Collier was a popular guest at conventions. He died on October 1st due to unspecified causes. Actress Velile Tshabalala, who plays the character of Rosita in the forthcoming Doctor Who Christmas special The Next Doctor, has given an exclusive interview to the West Sussex Gazette, a local newspaper based in the south of England. Tshabalala was appearing last weekend at a living history event in Amberley, West Sussex. To publicise it, she spoke to the Gazette's entertainment reporter, Phil Hewitt, and also talked about her role in The Next Doctor, saying: "I am just so excited about it. We filmed it in April in Cardiff and Gloucester and Monmouth and so it has died down a bit, but now it is getting closer and I just can't wait." "It is just a one-off Christmas special but out of all the episodes I could have been asked to do it is far better that it is this one." On the subject of whether she might reappear in future episodes, Tshabalala added: "I would love to do more. At the moment I am just being positive about it, that I did it and that I had a great time. But I would love to be in it again if I can." She also spoke briefly about her character's role in the episode, information regarding which is included in the spoiler box below. "I have to be very careful what I can say and can't say about it all. You have to bear with me! But she is an East Londoner, very Cockney." "The Doctor is faced with another Doctor. Rosita is the assistant to the other Doctor but as the episode goes on she starts helping the Doctor we know." It looks as though a Children In Need Doctor Who Special is back on the cards! It was originally ditched for "Music of the Spheres" (which aired during The Proms) but producers have decided to bring it back! I think it's a brilliant decision because we had a proper mini episode (which was an actual part of the Doctor Who story) in 2005 & 2007 and it really does fill in the gap that's left between the series finale & the Christmas Special. 1. Doctor Who: Children In Need (2005). Producers didn't give it a proper title as they thought they would only ever make one Children In Need Special. Funnily enough, the BBC gave it a title themselves for the sake of the advertising banner that scrolled along the bottom of the screen every 20 minutes. They called it "The New Doctor". News services are reporting that this year's Children in Need will feature a special that includes all seven living Doctor Who lead actors. The below report is from the Daily Telegraph. The story has also appeared in other newspapers. The actors are getting together for the BBC charity Children in Need in a programme to be broadcast on November 14th. An insider at the BBC said: "It's a pretty ambitious idea and it's still being finalised. Everything is being kept under wraps but Doctor Who fans are in for a big treat." The first of the 10 actors to take the role was William Hartnell in 1963, followed three years later by Patrick Troughton and then by Jon Pertwee but all three have since died. The seven survivors include Tom Baker, now best known as the voice of the comedy series Little Britain, who played the role for seven years from 1974. He was followed by Peter Davison from 1981 to 1984, whose daughter Georgia Moffett has also featured in the programme and who is now dating the current doctor, David Tennant. The others are Colin Baker, from 1984 to 1986, Sylvester McCoy who had two stints from 1987 to 1989 and re-appeared in the role in 1996, Paul McGann, who took over the role in 1996 and Christopher Eccleston who reprised the series in 2005. 1. The Three Doctors (1972). It featured the First, Second and Third Doctors. 2. The Five Doctors (1983). It featured the First, Second, Third, Fourth and Fifth Doctors. The role of the First Doctor was played by Richard Hurndall because William Hartnell (who originally played the role) had died in 1975. William Hartnell does make an appearance but it is in a pre-titles sequence which was made out of the end of "The Dalek Invasion of Earth" (1964). 3. The Two Doctors (1985). It featured the Second and Sixth Doctors. 4. Time Crash (2007). It featured the Fifth and Tenth Doctors. *Note: Time Crash was only an 8 minute mini-episode. The actor Peter Copley, who played the role of Dr Warlock in the highly-regarded 1975 Doctor Who serial Pyramids of Mars, has died at the age of 93. A full obituary has been published by the Daily Telegraph. Director James Strong will be helming the Easter Doctor Who Special, Executive Producer Russell T. Davies announced in the latest issue of Doctor Who Magazine. "We're so happy that he's returning to the fold," Davies stated. "James has handled Daleks in sewers, hordes of Adipose and Satan himself, as well as a Titanic with Kylie on board. But believe me, none of that will have prepared him for what we're about to unleash in this next script!" The Easter Special is scripted by Davies and Gareth Roberts, whose previous credits on the show include Attack of the Graske, The Shakespeare Code and The Unicorn and the Wasp. Silva Screen Records has announced the full listing of the forthcoming soundtrack CD for Series Four of Doctor Who. The information was sent out by e-mail yesterday to people who subscribed to its newsletter. The 27-track disc will be released on November 17th but can be downloaded earlier from the company's website. Looks like they're getting all 'arty' with the titles. Still, 27 tracks is pretty good - Series 3 had 28, but they threw the hymn from Gridlock on there. I'll probably get it to maintain geek status. Billie Piper and husband Laurence Fox are proud parents to their first son around 1am on Tuesday, 21 October, at the private Portland Hospital in London. 6lb 11oz Winston James Fox was delivered following a reportedly traumatic 26-hour labour and an emergency Caesarean procedure. Mommy and baby are said to be "well and happy". The full story can be found on the Daily Mail website. The BBC has announced that the first two minutes of the forthcoming Doctor Who Christmas special, "The Next Doctor", will be broadcast as an exclusive preview for the episode as part of this year's Children in Need charity telethon. Children in Need will this year be broadcast on Friday 14th November from 7pm. As you know, Doctor Who has featured in the programme in various capacities before, including special mini-episodes made specifically for the telethon in 2005 and 2007. The full episode of "The Next Doctor" is expected to be broadcast by BBC One in the UK on Christmas Day.